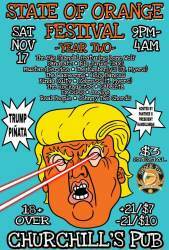 State Of Orange Fest is back for it's 2 Year of Music, Chaos, and Cheeto Man! 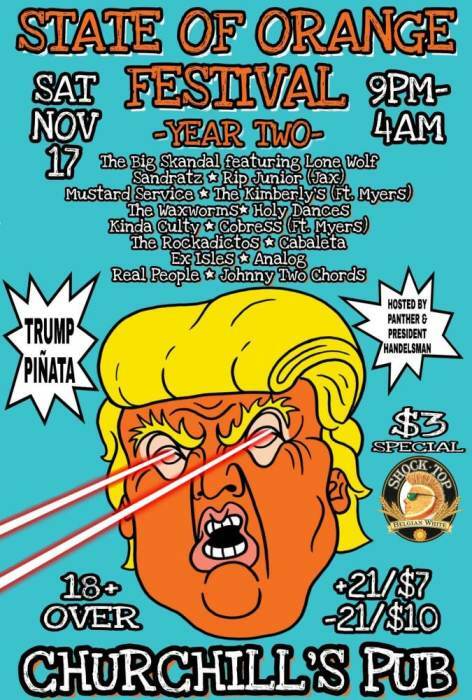 A gathering of some of the best bands in the area with a few from out of town, with styles ranging from punk, ska, indie rock, psychedelic, and electronic. Donald Trump Pinãta!!!! Come beat the D until he explodes with prizes!!!!!! Parking in churchills parking lot, Uber/Lyft is suggested.